Play 10000+ games to improve your skills in Addition, Substation &Multiplication. Play with Plus game is designed for effective learning environment, here everyone can learn arithmetic calculations by playing it. 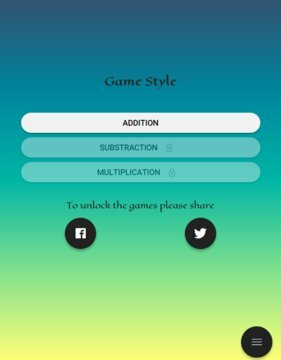 This game includes Addition, Subtraction and Multiplication and which categorized into different levels: Easy, Medium, Intermediate,Professional and Expert. This game divided into different age groups, each age group will have different types of difficulty levels, game types and game styles. In each game styles have different game types like 3X3, 4X4, 5X5, 6X6 you many choose any game type and game style for game difficulty. This game will have 10000+ games by default and you can enjoy unlimited number of game by playing repeatedly. You will not get any repeated game when next time you play the same game. 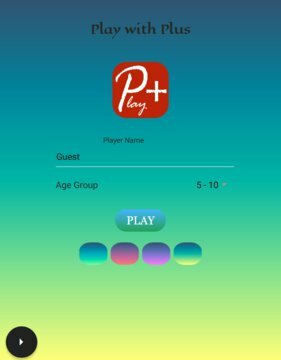 Play with Plus will help all the age groups to improve there calculations skills. You can enjoy the game peacefully by avoiding all the distracting sounds not like other games. This helps children's a lot improve there mathematical calculations. Children's can save there mathematics practice time by playing game.